Making higher highs and higher lows along the bear flag on 4hr chart. Next resistance level around 5200 zone. 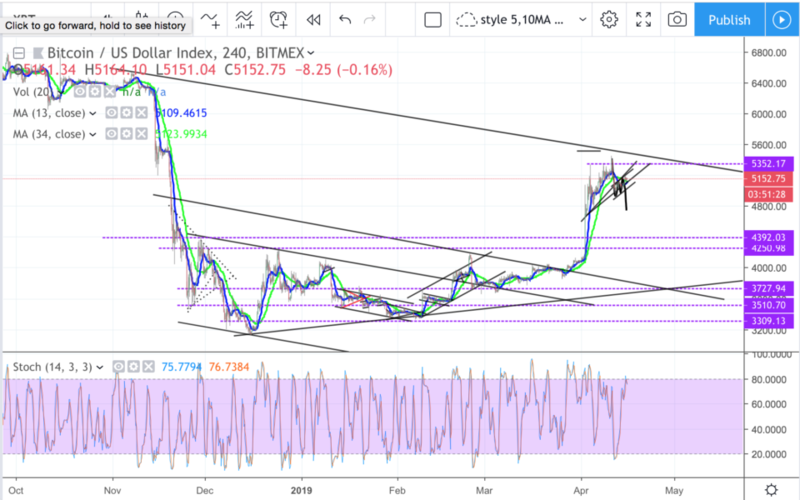 Stoch price divergence, possible turn. Margin short still lacking.